Fishtail Cottage: Lac Bleu Lotion Co. Bath & Body Products "
Um, yes please! I received the most amazing gift in the mail from LacBleuLotionCo and couldn't be happier to share how amazing these products truly are. Especially because, for me every season is technically "Gardening Season", and I expose myself to all sorts of weather conditions So I enjoy spoiling my skin with beneficial products. I have super sensitive skin so I need to be careful about what I use on my skin (especially if there is a fragrance combined). This sweet little package arrived so darling ~ I love cute packaging and it's so nice to know if I sent this to a friend that it would arrive as though I packaged it and sent it myself. Included in this basket is a French Lavender Nourishing Bath Soak, Magnolia Rose Hand Cream and the Fig Body Lotion. 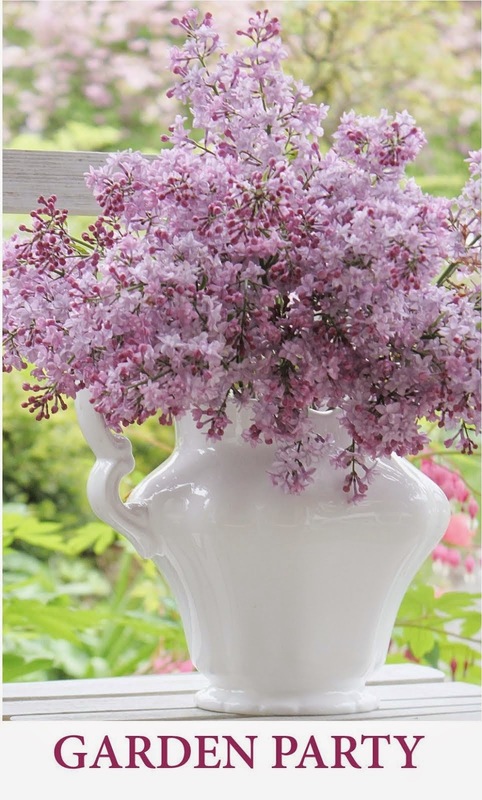 The fragrance of each one is so beautiful. First I must share with you the French Lavender Nourishing Bath Soak - I am a total bath salt geek and had to try this immediately! Ingredients include magnesium, pink Himalayan sea salt and lavender ~ my entire bathroom and bedroom filled up with the most amazing aroma of lavender after only adding a couple of scoops into the water. I was so relaxed after enjoying the evening soak, I headed strait to bed and slept like a baby. Which makes total sense as the description in Tanya's Etsy Store, LacBleuLotionCo says the sea salt and magnesium used helps draw out toxins from the skin and relieve sore muscles along with the essential oils of Lavender calms and soothes the mind and skin. The Fig Body Lotion is so nourishing! I only needed a little dab for my dry skin - there was absolutely no extra residue or greasy feeling after putting it on. Its a clean fragrance and I totally agree with the description of the fragrance on her site.... "apple, lemon and ginger, fig, caramel, and cinnamon". My skin has felt super hydrated since I began using this lotion and I have not had any of my typical "sensitive skin reactions" to it at all. Last, to share is the Magnolia Rose Hand Cream... perfect for your nightstand and or handbag. Between gardening, cooking and cleaning - I personally wash my hands so many times a day and rarely find relief for them, especially in this dry winter weather. I've kept this lotion next to our kitchen sink and am loving the calming fragrance and how soft and less dry my hands feel. I know so many of you are careful what you use on your skin too ~ so I am enjoying sharing my honest opinion of these products I have personally tried. I am also happy to share that it looks like all of these handmade products are "Paraben Free" and "Cruelty Free" (not tested on animals), also many are labeled as "Vegan". I love that Tanya uses her own herbs and flowers that she grows in her personal garden in these handmade products. Please check out LacBleuLotionCo and let me know what you'd be interested in trying and leave a comment! 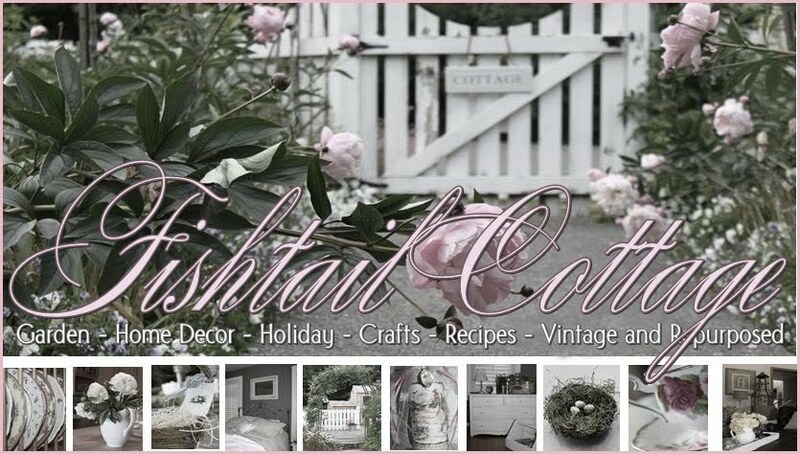 Even though these products are very reasonably priced, Tanya has offered to give an additional 20% discount (ends March 31, 2017) to Fishtail Cottage Blog readers! You can share this post via Twitter, Instagram and Facebook with your friends (they will thank you)! Also, be sure to check my Instagram page for a Magnolia Rose Giveaway Basket! Oh my goodness anything lavender always makes me giddy. Looks like some great products. Thanks for sharing. You had me sold, and I was placing the order, but for $27.00 worth of product, the shipping was going to be $19.00. That's ridiculous for shipping. Sorry Lac Bleu Lotion Co., but you've got to find a cheaper way to ship.